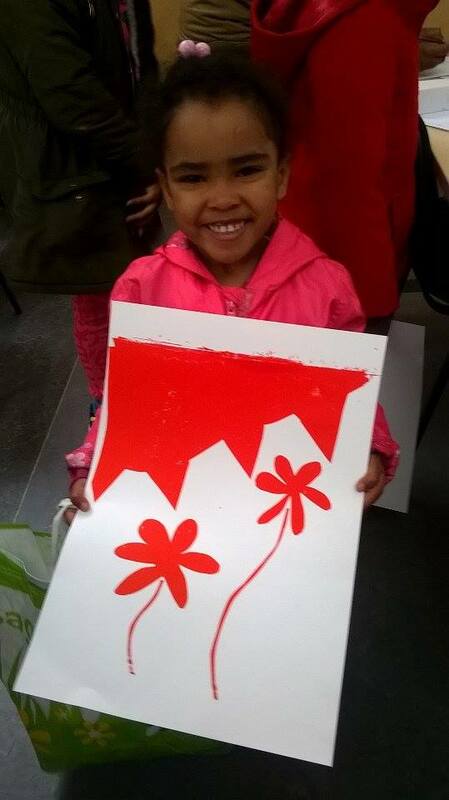 We were really happy to welcome in lots of local families for a free beginners printmaking workshop, lead by Jodie Sadler from Be Smart, Choose Art. Everyone got to try out different types of print making – lino, mono and screen. 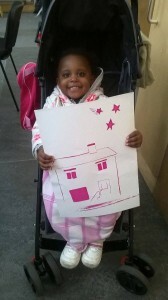 Thank you to Jodie and Charlotte from Be Smart Choose Art and all the printmakers! Hub 67 was fully booked for a recent Films for Food screening of the award winning A Syrian Love Story, filmed over 5 years by Sean McAllister, who joined us for a Q&A. 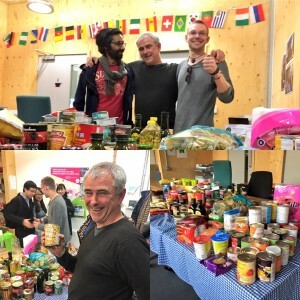 Films for Food events collect donations for local foodbanks, instead of paying an entry fee. 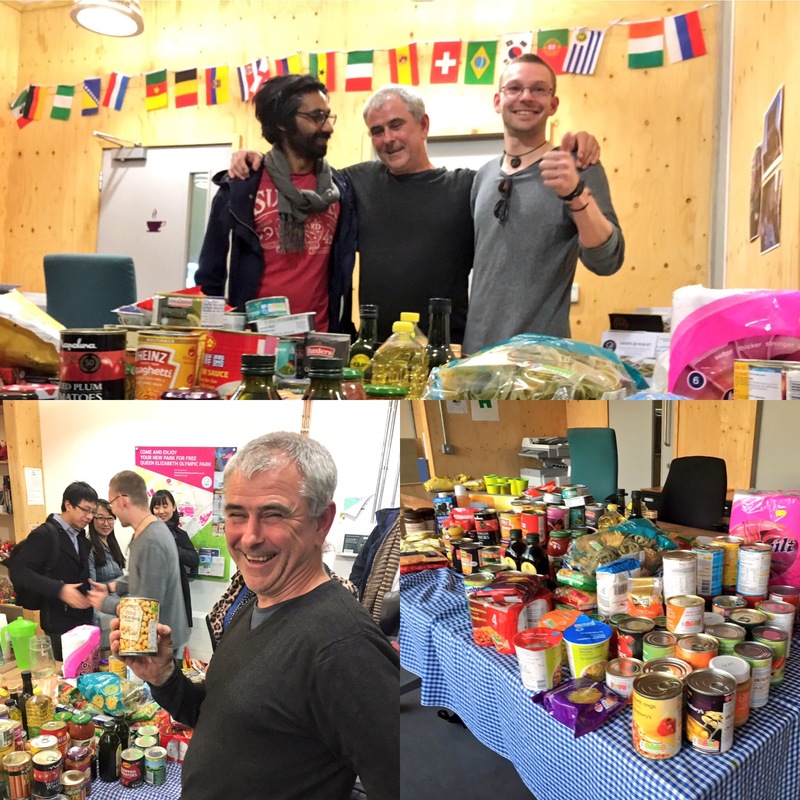 All donations went to Tower Hamlets Foodbank, First Love Foundation. This was part of a series of events collaborating with film makers Rainbow Collective who launched Films for Food at Rich Mix in 2014. If you’re coming to a future Films for Food event, please see what items are most in demand (eg. honey, washing powder, long life milk and juice). Thank you to Sean for releasing the film and supporting the event, Rainbow Collective, First Love Foundation and everyone who donated items. Plus starting 17 February on the 3rd Wednesday of the month, Rainbow Collective will be here with a film screening as part of ‘Films for Food’. Entry is free, you just bring a bag of food that will be donated to the local foodbank. Find out more about Rainbow Collective here. 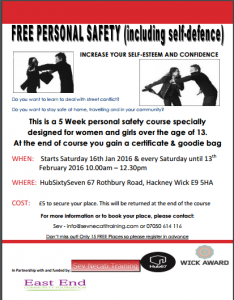 5 week course in personal safety/self-defence course specially designed for women and girls aged 13 and above (no upper age limit). At the end of course you gain a certificate & goodie bag. 3. 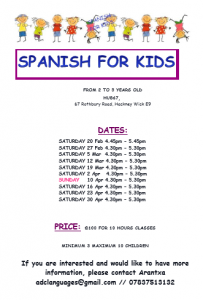 Do you live in Hackney (Hackney – Wick)? Y/N if No, which borough do you live in? 4. Can you commit to the whole 5 sessions? 6. Valid e-mail address if you are referring someone. You must be able to commit to the whole 5 weeks of the project, to qualify for a free place and receive a certificate and goodie bag at the end of the course. This breakthrough healing workshop will allow you to develop your drawing skills while accessing your intuition through energy work. The artist Maryam Hashemi known for her magical and unique work will share her knowledge and perspective on creating portraits. Maria Zhuavleva, the energy healer and the past life regressionist, will show the practical benefits of energy work combined with art. 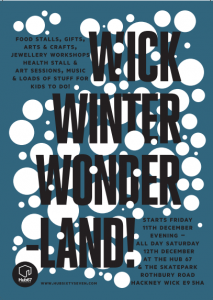 There’s just days to go until Wick Winterwonderland, we can’t wait to meet all the stall holders and people coming to the event. Do you need to get some Christmas gifts or for a Secret Santa? 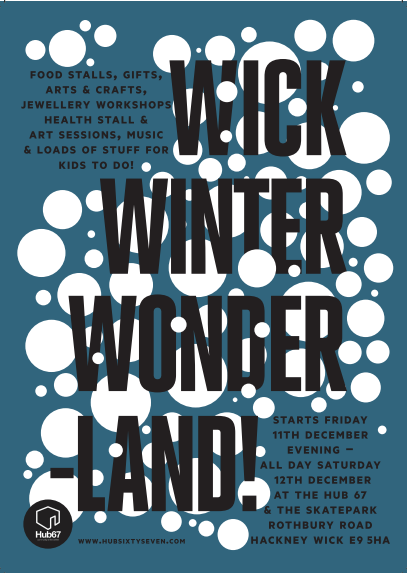 There will be stalls selling allsorts, including jewellery, handmade clocks, clothing, art and lots more. There’s a good mix of food stalls, including jerk, nordic, vegan, Eastern veggie, German deli. That’s all in the skate park next to us (Frontside Gardens, thanks to Andy and Dane for their help!) and at Hub 67, allday 10am-10pm Saturday we have Albion Kids Show with free activities for children, including a soft play area. 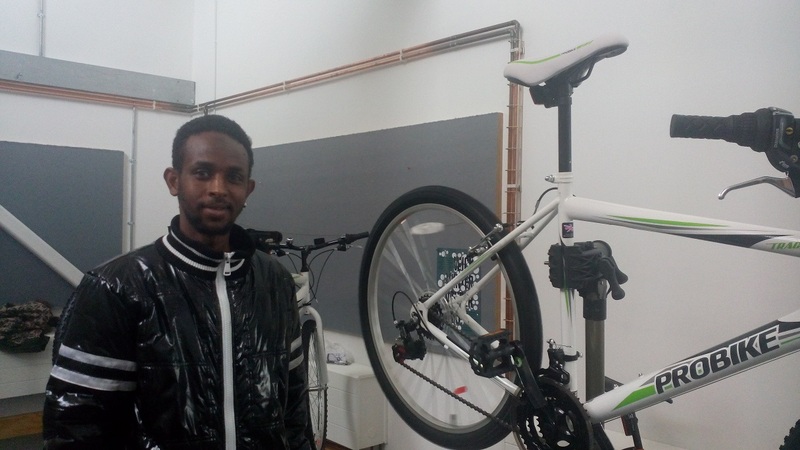 Bikeworks ran a 2 day intensive introduction to bike mechanics – everyone who came got to build a new bike from a box which they got to take away. 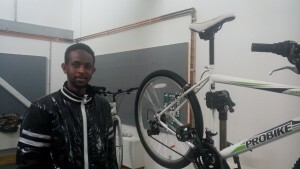 Bikeworks offers other longer training courses including City & Guilds Level 1 in Cycle Mechanics which some people from this course have started. We had lots of fun in a drumming and percussion workshop for under 5’s as part of Hackney Family Learning Festival. 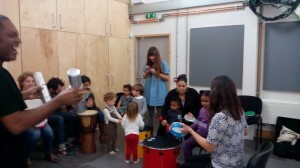 The session was lead by Donald Gamble and a local keyboard player Caroline. Thanks to everyone who came, the Brazen Bunch collective (organisers of Uprise Festival www.uprise.org.uk) and to Hackney Learning Trust for supporting the workshop! HUB67 was shortlisted for the New London Awards 2015, recognising the very best new and proposed architecture, planning and development in the capital. Hub 67 is a community centre in Hackney Wick, constructed by Architects LYN Atelier and with recycled material from the London 2012 Olympic and Paralympic Games. 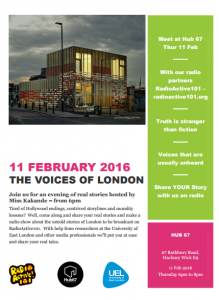 Hub 67 has been shortlisted for the categories THE TEMPORARY and MAYOR’S PRIZE (Supported by Mayor of London). Overall Winner and New Londoner of the Year were announced Tuesday 7 July at NLA’s Annual Lunch at the Guildhall. HUB 67 was commended in the Mayor’s Prize. 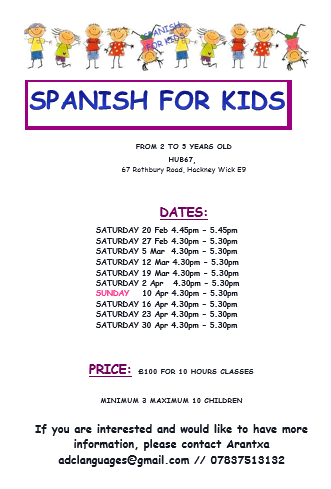 Starting Monday 1 June 5.00pm – 6.00pm. 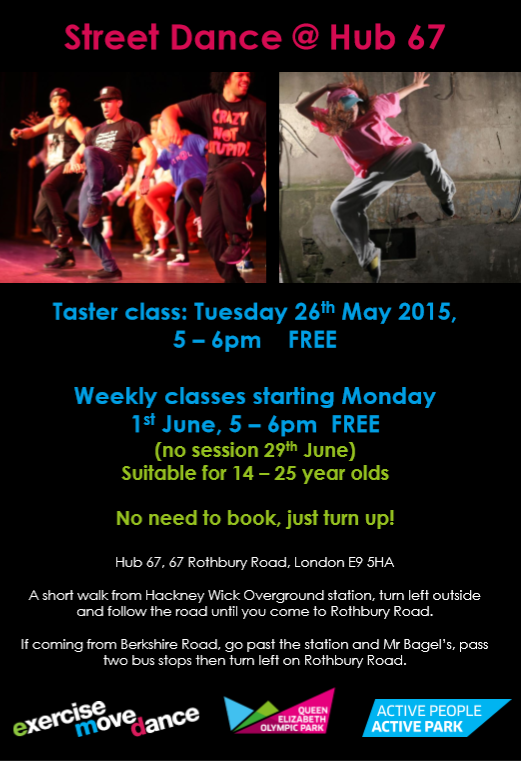 Come along for a taster session Tuesday 26 May 5.00pm- 6.00pm. Street includes many Hip Hop and Funk styles. It’s impulsive, interactive and highly energetic. Street Dance styles include breakdance, popping, locking, hip-hop party dances and house dance. Aitch Group and Hawkins\Brown Architects would like to invite you to a public consultation event on Thursday 14th May 2015, from 3pm – 8pm at The HUB67 building, 67 Rothbury Rd, Hackney Wick. They will take this opportunity to present their developing proposals for mixed use development which will include a range of new commercial spaces and a mix of housing typologies for sites on 24-26 White Post Lane and 1-2 Hepscott Road. This event is for the residents, local businesses and community representatives to explore their proposals and discuss with the project team any queries you might have and pass on your views and comments.